Electrical compliance is essential for the safety of your home or business. Without it, you could put your property and its occupants at risk, and you could pay more for insurance. Electrical reports will ensure that your property is compliant with all safety standards, and these can only be provided by a certified electrician. An electrical inspection certificate will be provided to ensure the safety of electrical installations, with the assurance that any new installations, additions, or alterations are safe to use when they were implemented. Take note that no EICR is alike, as the report will depend on the type and extent of your property’s electrical installation work, testing, and the inspection that will be performed. Electrical reports for landlords will indicate electrical faults that can put people or animals at risk of burns or shock. While making the report, an electrician will check if an installation is safe for use and if there is protection against property damage caused by heat or fire from a defective area. A good electrical report will show if additions to an installation could result in overloading, and if alternations could cause damage or harm. Likewise, it can indicate if flooding or water damage has occurred due to a leak. An electrical compliance report must be conducted periodically. For an office or a business, it is ideally conducted every five years, making it known as the five-year electrical fixed wire test, already encompasses the electrical installation condition report. Various tests could be conducted, such as PAT testing, electrical installation condition report, fire alarm testing, and emergency light testing, depending on your installations. Electrical compliance is already a requirement for most mortgage lenders and insurers, and albeit not a legal requirement, ensuring that should make you feel confident in the safety of your establishment. 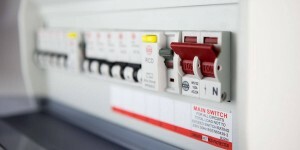 Only a NAPIT, ELECSA, or NICEIC registered electrician is qualified to conduct an EICR, as this professional has the knowledge and tools to check an electrical system’s condition against the UK standard for the safety of electrical installations, in particular, the BS 7671, IEE Wiring Regulations or Requirements for Electrical Installations. After inspection and testing, the electrician will provide the electrical safety certificate, which will show whether your property has passed or failed the inspection. It should show recommendations for upgrades as appropriate.